Big & bold or subtle and sparkly- the choice is yours! In this class you'll learn how to bead an advanced, eye-catching geometric pendant, earrings or bracelet to suit your own tastes. 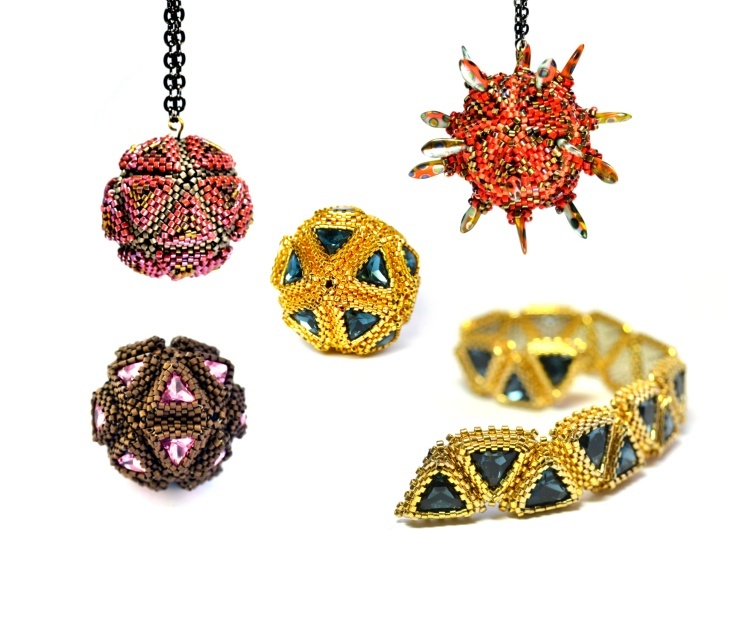 This advanced class uses geometric beading to create 3-dimensional pendants (which can also be used as ornaments) or bracelets or earrings. The class will cover creating the basic structure and then all of the possible options for beading the piece to your own taste. Note: This popular class is available as a pattern here but the class is more in-depth with many demonstrations and variations not shown elsewhere.